Justin Timberlake Archive - Trolls: Original Motion Picture Soundtrack To Be Released On Vinyl Tomorrow!! You are here: Home / News / Trolls: Original Motion Picture Soundtrack To Be Released On Vinyl Tomorrow!! Trolls: Original Motion Picture Soundtrack To Be Released On Vinyl Tomorrow!! We've got something special for all you vinyl lovers and record collectors! 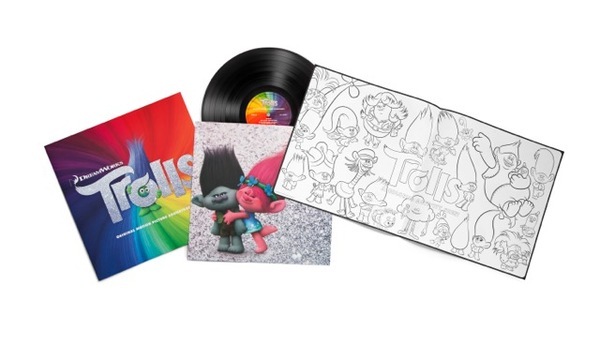 Tomorrow, you'll be able to get the Trolls soundtrack on vinyl! All vinyl records include an exclusive Trolls activity sheet/poster. Don't miss out - grab yours tomorrow!